Organised by NUS Centre for Biomedical Ethics, Lien foundation, The Hastings Center and University of Oxford. It was a remarkable and stunning research panel sharing on (1) Ethical Responsibilities at the Intersection of Health & Social Care (2) Enabling Singaporeans to Age Well in Place. The presentation covers Good Care at Home for Older People in Singapore, A proposed Implementation guide of Home Concept, Cost on medical care and scheme available in Singapore. Today I learn that a good life and good care are intertwined and we should have a plan for older people to make a range of choice, opportunities to enact these choices, and continuing to live a good life. Promoting agency requires those involved in care to think imaginatively about how the older last pursue their idea of a good life within a diverse range of personal and social circumstances. 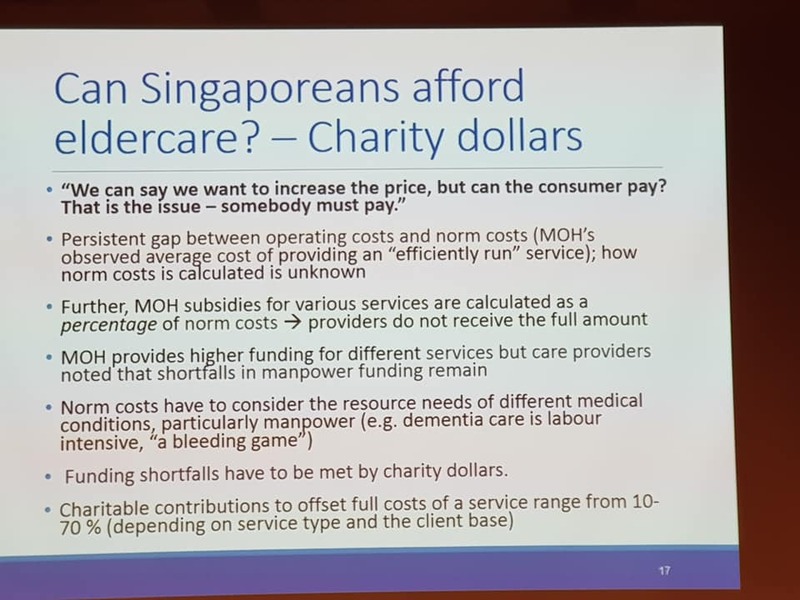 How can we assure that our cost of healthcare system and cost of hiring healthcare workers stay as competitive as compared to other job and within the ageing countries around Singapore? How can we communicate to needs of the older person in a positive manner with the family members? Make a difference to our social future with cutting edge research.